Tuesday is the day a lot of you have been waiting for — the iPhone 4 taken under Verizon’s big red wing. We know the announcement’s happening, but what else do we know for sure? And what about those floating rumors? First, here’s what we’re sure of. It doesn’t get much more solid than this. Verizon’s sent out invites to tech writers, and, though only through the always-nebulous “people familiar with the matter,” the Wall Street Journal has confirmed. The odds of Apple giving Verizon anything other than a CDMA version of the same iPhone 4 AT&T has are extremely low. If a new Apple product — say, the iPhone 5 — were about to be loosed on us, you better believe it’d be Apple doing the unveiling, not Verizon. There’s also a whole host of reasons why anLTE iPhone doesn’t make sense right now — poor coverage, battery-life murder, Apple’s early-adoption anxiety, and existing knowledge of a CDMA model’s development behind closed doors. Engadget’s also dug up photos of an adjusted antenna design, likely made with CDMA optimization in mind. Finally, if Apple had something shiny and exciting to debut, they’d be doing it themselves. So keep your pants on until this summer, when a new version is likely to be announced. Now we head into slight uncertainty territory. A WSJ report — again, via “a person familiar with the matter” — says Verizon’s planning an unlimited data plan. This makes sense, as it would give Verizon a competitive edge over AT&T, which terminated its own unlimited plan in favor of capped data (except for those subscribers grandfathered in with an unlimited plan that predated the change). 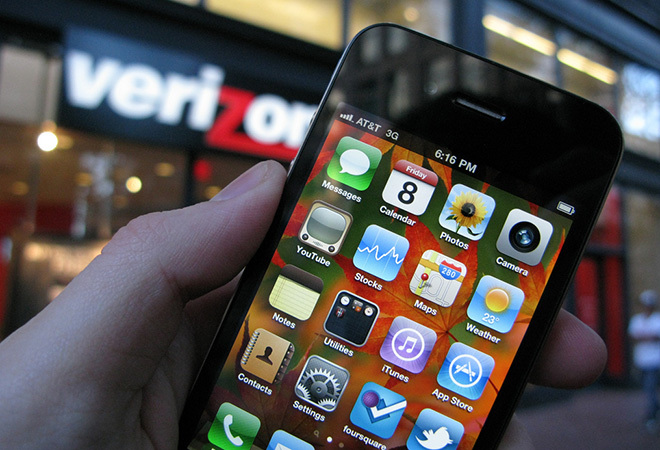 The original WSJ report points to an end-of-the-month release for Verizon’s iPhone, while BGR sayssometime between Feb. 3 and 6 (based on a Verizon employee-vacation blockade during that time). Not much of a difference, either way. All Things D, citing “sources in a position to know,” says Jobs’ appearance alongside Verizon is “likely,” unless there are “unforeseen circumstances” (a flat tire?). The significance of Jobs’ attendance, and what role he might take, of course a whole other barrel of speculation. The elusive great white whale of mobile electronics! Could it show up tomorrow? ZD Net’s “educated guess” is that, yes, Verizon will indeed land the oft-delayed white model. This story was written by Sam Biddle and originally appeared on Gizmodo.